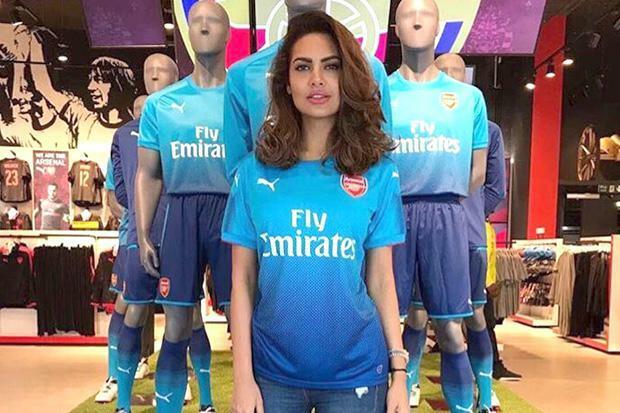 The Indian actress is a well-known Arsenal fan and has been spotted at the Emirates Stadium watching games in the past. She was also reported to have previously been dating Hector Bellerin. However, after the Gunners’ FA Cup defeat by Manchester United on Friday night, the 33-year-old posted a screenshot of a WhatsApp conversation between herself and another person on Instagram. Gupta quickly deleted the screenshot from her Instagram account but eagle-eyed fans had quickly managed to screenshot their own version. Gupta’s bond with Bellerin and the club was evident when she helped the Spaniard to launch last season’s blue away kit. Gupta is a former Miss India International winner most known for her roles in horror film Raaz and 2016 thriller Rustom.